NEW TUTORIAL: Mini Pan-Tilt Kit Assembly « Adafruit Industries – Makers, hackers, artists, designers and engineers! 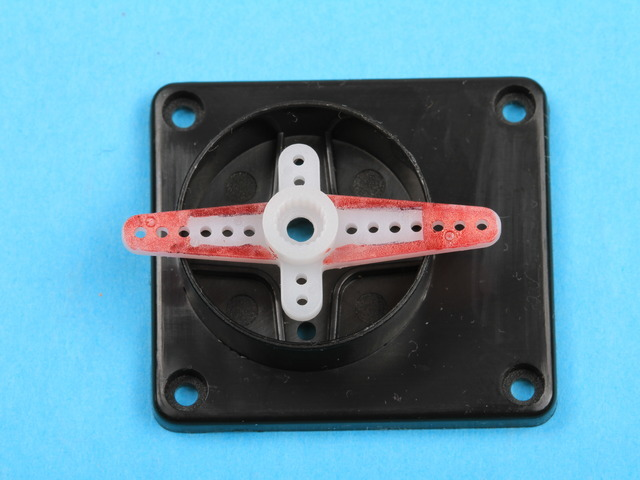 To complete the assembly, you will also need 2 Tower 9G, SG90, SG92 or equivalent servos. 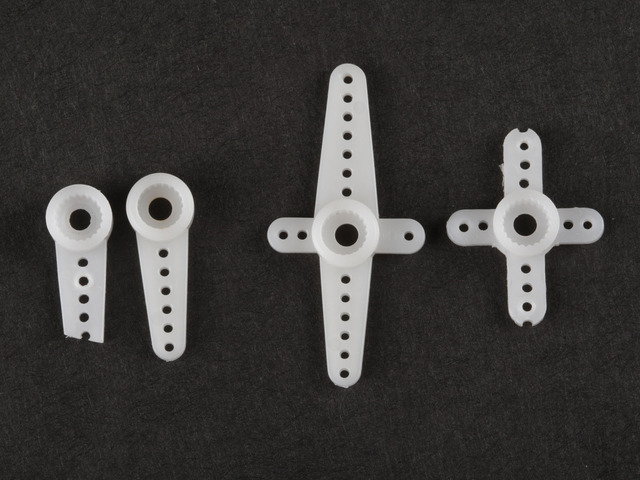 You will also need some mounting screws and horns from the parts package that comes with the servo. 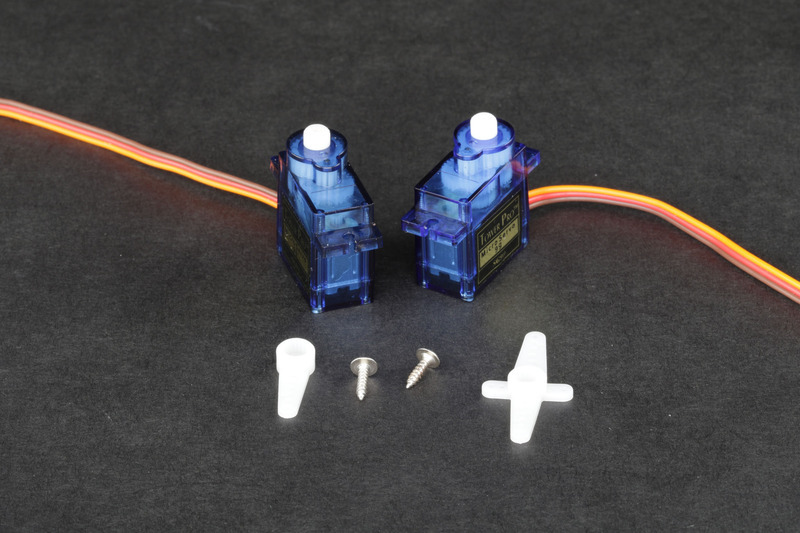 Note that not all Micro Servos are the same size. This kit has been tested to work with Toer Pro 9G, SG90 and SG92 Micro Servos. Other servos may or may not fit. 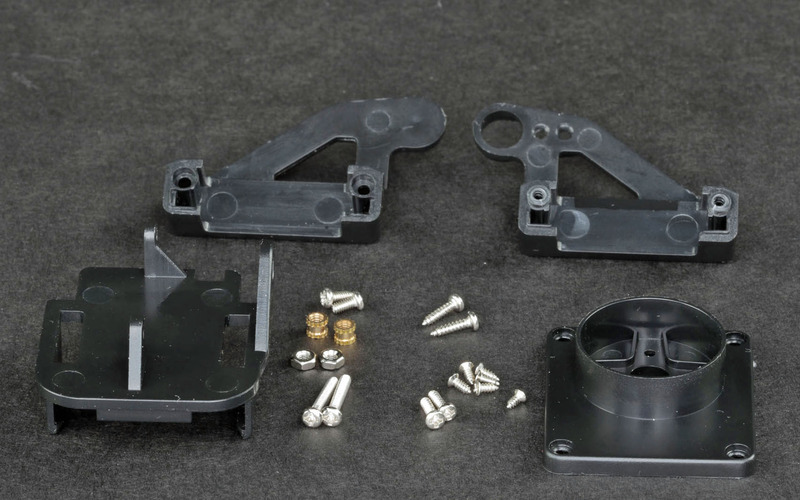 The MG90 Metal Gear Servo will work for the pan-base but will not fit the tilt bracket! You will need a small phillips head screwdriver for assembly. A sharp hobby knife an/or a pair of wire cutters may also come in handy for trimming the servo horns to fit. Servo horn come in various sizes and shapes. Some servo horns may require trimming to fit with the Mini Pan-Tilt Kit. The two unmodified horns in the center are from a Tower SG-92 Servo. The two horns on the outside have been trimmed to fit the Pan-Tilt kit. The photo on the left shows the area that needs to be cut away to fit inside the pan-tilt base. The excess plastic can be easily trimmed using a sharp hobby knife, of a pair of wire cutters.